A notice was duly pasted at the entrance of the mess, informing everyone of this 'new order'. Even separate basins were demarcated for the students’ cuisine choices. Talking to a reporter with rage in his eyes, Nagesh questioned how the IIT-Madras management could issue such a discriminatory order without even consulting the students. As of now, the notices have been removed after taking into consideration the uproar this 'untouchability of a different kind' caused at the national level. management is now trying to save itself by putting the blame on the caterer. Anybody can guess that a caterer, who is basically a contractor serving food for a fixed period, cannot suddenly disturb the existing arrangements, divide the mess into two separate sections, and have the courage 'instructing' his customers to use separate gates. Remember, this is the same student group that comprises mainly Dalit, Bahujan and Adivasi students and was derecognised by the institute’s management in 2015 on the instructions of bureaucrats in the Ministry of Human Resources Development (MHRD), just because the group was critical about Prime Minister Narendra Modi’s policies and had been raising issues of caste, communalism as well as corporate loot of resources. It is now history how the management had to revoke its order following a nationwide protest. Can the institute's management alone be singled out for this discriminatory order? In fact, this push towards vegetarianism is a direct fallout of the ascent of the Bharatiya Janata Party-led government at the Centre and many states. It is well documented how the MHRD, then headed by Smriti Irani, had taken the unusual step ofpolicing university campuses to find out what was cooking in their kitchens, supposedly acting on a representation from an RSS (Rashtriya Swayamsevak Sangh) worker in Madhya Pradesh. The directors of all IITs and Indian Institutes of Management (IIMs) were sent letters seeking details of cooking and catering arrangements in their institutions, and were directed to send “action taken’’ reports to the Ministry. In his letter, the RSS worker, who was not at all related to any of the IITs and neither had any ward who was studying there, had demanded separate dining halls for vegetarian and non-vegetarian students on the grounds that “these institutes are spreading bad culture from the West (kusanskar) and causing grief to the parents’’. One can say that, of late, this fetish towards pushing vegetarianism has reached new extremes, disregarding the disturbing fact that in our country a significant section of the population suffers from chronic hunger, and India stands ranks 103 out of 119 countries in Global Hunger Index 2018. In this situation, it is a cruel step to forbid people from eating particular food items that are a source of cheap protein. It is a different matter that, under the name of protection of the majority’s faith, people are told what to eat and what not to eat, in fact their eating habits are being criminalised. And this despite the fact that, perceptions apart, a majority of the Indian population is non-vegetarian. The most authoritative study is the People of India survey, a mammoth enterprise of the Anthropological Survey of India (ASI) completed in 1993. The eight-year study was steered by its director-general Kumar Suresh Singh and covered every rite, custom and habit of every single community in the country. At the end of it, the army of ASI researchers found that of the 4,635 communities, nearly 88 per cent were meat-eaters. A 2006 State of the Nation survey conducted by the Centre for the Study of Developing Societies (CSDS) for Hindu-CNN-IBN reinforces the ASI report that the overwhelming majority is non-vegetarian. It revealed that only 31 per cent of Indians are vegetarians. This criminalisation/stigmatisation is not limited to beef, which has already been banned in many BJP-ruled states. The denial of food has been extended to all other non-vegetarian foods and even eggs. The closing of abattoirs in BJP-ruled states has reached a feverish pace under the name of 'illegality'. Despite egg being an excellent source of protein and the National Institute of Nutrition making eggs compulsory for mid-day meals for school children, eggs do not find a place in mid-day meals served in schools in 15 states. One still remembers how the outgoing Madhya Pradesh government led by Shivraj Singh Chouhan had refused permission to give eggs to children and had suggested bananas as an alternative, knowing fully well that it was a perishable item. What is atrocious is that the same party that opposes beef consumption in general has no qualms in claiming in other states -- where beef is not banned and is a staple food -- that if it comes to power it would offer its good quality (Kerala) or it will ensure that the ban is not effected in their state (Goa), or representatives of the party’s parent organisation going to the North East and saying that eating beef cannot come in the way of becoming a member of the RSS. One could have a premonition of such things to come when the Gujarat government bowed to the demands of the Jain community, who wanted that Palitana, near Bhavnagar, considered a sacred place by the Jains, be declared a purely ‘vegetarian area’ immediately after the ascent of Modi as Prime Minister. This resulted not only in banning of the ritual slaughter of animals and closing of an estimated 260 butcher shops, but even restaurants engaged in selling of such items. 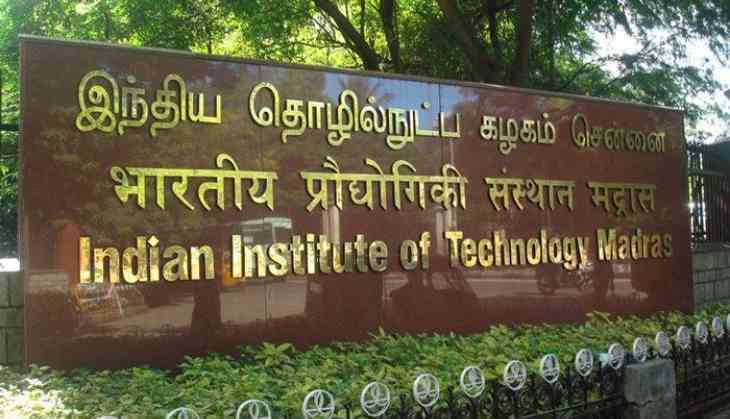 Coming back to the issue of 'separate entrances' in IIT-Madras, it would be untrue to say that the ambience existing in the institute was not conducive for promoting vegetarianism, an idea which is integral to what is understood as 'Brahminical culture'. How a deep antipathy toward oppressed castes is ingrained in the institute’s culture can also be gauged from the fact that when in early 1970s quota for SCs and STs was extended to the IITs, P V Indiresan, who was appointed director of the institute from 1979 to 1984, was one of its most vocal opponents. In his 1983 Director’s Report, Indiresan drew a distinction between “the socially-deprived” who demanded “special privileges” and “the talented” upper castes who deserved “rights of their own.” For him, and many with similar views, upper castes are simply “the talented” who inhabit a casteless, democratic, and meritorious norm threatened by reservations. In 2011, it was Indiresan who took the Indian government to court challenging the constitutional validity of the 2006 reservations. ” [i]nstitute like IIT Madras has parted with only a fraction of the 22.5 percent quota for students belonging to the Scheduled Castes (SCs) and the Scheduled Tribes (STs). According to information provided by the institute’s deputy registrar, Dr K. Panchalan, in September 2005, Dalits accounted for only 11.9 percent of the number of students. They were even fewer in the higher courses — 2.3 percent in ms (Research) and 5.8 percent in Ph.D. Out of a total of 4,687 students, Dalits made up only 559." Little wonder that activists who have been fighting for proper implementation of reservations for Dalits, describe IIT-Madras as a modern day agraharam — a Brahmin enclave.